Project Management Certifications - CAPM or PMP? 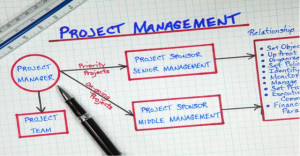 Project management is a growing field used increasingly by businesses of all sizes. As entrepreneurs face daily responsibilities of managing an organization, it is important to use dedicated project managers to oversee projects from conception to completion. Understanding effective project management techniques helps the organizations to carry out large-scale projects on time, within budget and with minimal disruption to the rest of the business. A lot of individuals who are interested in working in this field are often confused about whether they should go for CAPM or PMP certification. Both CAPM and PMP are certifications designed by the Project Management Institute (PMI). CAPM stands for Certified Associate in Project Management and PMP stands for Project Management Professional. Broadly speaking PMP is for project managers who have 3-5 years of experience in leading & managing projects. This means that they are active project managers who are familiar with the lifecycle of a project, know how to talk to customers, have dealt with stakeholders, and have completed several project life cycles from beginning to end. CAPM is for people who are starting out in their career as Project Managers and have no experience in managing projects, or for other team members who just want to demonstrate their project management knowledge. In this world of online education, there are many preparatory courses available for taking the PMP and CAPM exams. Institutions like EduKart offer online courses that fulfill the 23 hours of Professional Development Units (PDUs) required for taking the CAPM exam, or 35 hours of PDUs required for taking the PMP exam. EduKart also provides unlimited problem solving support over the telephone. The outcome of EduKart's courses is that participants are ready to sit for the CAPM or PMP exam offered by PMI. You can choose 1 month, 3 months or 6 months’ courses as per your choice. EduKart is based in India with prices available in rupees.